Within military-technical cooperation, the Ministry of Defence of the Lao People’s Democratic Republic transferred thirty T-34 tanks to the Russian Military Department. Until recently, armored vehicles were in service Laos army. During the visit of the Minister of Defence of the Russian Federation, General of the Army Sergei Shoigu to Laos, agreements were reached on the return of T-34 tanks to Russia. Military equipment by sea transport has already overcome more than 4,500 km and arrived in Vladivostok. Further, it will be delivered by rail to Naro-Fominsk. T-34 tank was a technological breakthrough for its time, it has a dozen records, which, apparently, will never be able to surpass, including as the most massively produced tank in the world. In the period from 1940 to 1946, more than 58,000 tanks were produced. However, after more than 70 years, there are very few active samples. 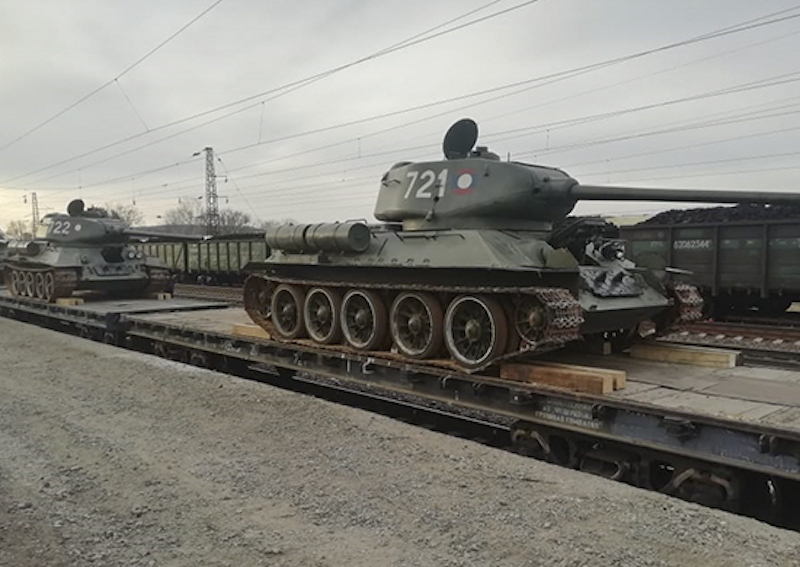 The equipment transferred by the Lao side is planned to be used during the Victory Parades in various cities of Russia, for updating museum exhibits, as well as for making historical films about the Great Patriotic War.